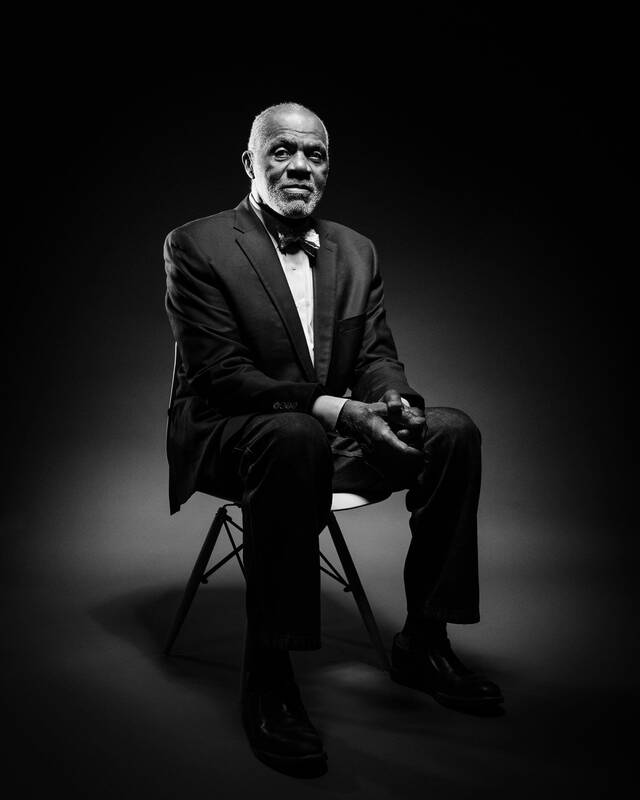 Retired Minnesota Supreme Court Justice Alan Page, 73, was Minnesota's first black Supreme Court justice and is the founder of the Page Education Foundation, which provides scholarships and mentoring to young people of color. He was also an NFL star with the Minnesota Vikings and Chicago Bears. Paris Yarbrough, 28, is a Page Scholar studying law at the University of St. Thomas. She grew up in St. Paul. Page: I'm not sure I know the answer to that. It means being a human being who is a person of color whose experiences are different from the majority. It means always ... I think we're still at a point in time when it's — where being a human being who is perceived as the other, as being different even though those differences in the end are just cosmetic. I mean the fact is that all people are different. The fact that some of us have a certain skin tone and others don't doesn't change who we are but yet we're perceived to be something and somehow different and inferior. Well I think most people across the globe, certainly here in Minnesota but across the globe, want to be productive. They want to have a good life, they want to share in the benefits that the world has to offer. They want to be loved. They want to be part of community and I don't know that being African-American changes that. Yarbrough: The question seems kind of loaded to me, but if we want to keep it within the Black History Month realm — I think I'm still searching for what it truly means to be a black Minnesotan in Minnesota. I mean, I was born and raised here, I'm 28 years old now. And you know, we have black immigrant communities here, we have the African-American community here. ... Overall there's only like 12 percent of black people in this state. But I think there's a growing opportunity and there's a growing population to where we can carve out a little bit of Minnesota for ourselves, right? We don't have a lot of stories about black Midwesterners, whether they be from Nebraska or whether they be from Minnesota. But what that means to me is thinking about people like Lena O. Smith, who is the first African-American woman lawyer in Minnesota. I want to be a lawyer, so she's who I think of when I think about black Minnesotans. And then I think about the Page Scholars that I come across and the Page mentees. These are the people who are going to carve out our own legacy in Minnesota. I mean, these are also the people who are gonna be doing equity work. These are also our future innovators. I also think about historically black Rondo (a predominantly African-American neighborhood in St. Paul that was demolished to make way for Interstate 94 in the 1960s). That's a part of black history that I didn't learn about until I was in college and I'm from St. Paul. But that is what I think about when I think about black Minnesotans, those stories that don't get told, the stories we need to elevate so that we don't forget where we're from. Page: I think like most people I am shaped by the people who I can, who I've been able to literally reach out and touch. Family. My mother and father played a huge role in shaping me. Other family members played a huge role in shaping me. When I look back on people other than family I think about people like Thurgood Marshall, I think about people like Nelson Mandela, I think of people like Emmett Till. I think of people like Goodman, Chaney and Schwerner, the young men who were killed in Mississippi during the civil rights movement. I think of strong women who have had an influence in my life and influence in the decisions that I have made. One of the women that comes to mind is Constance Baker Motley, a lawyer, a judge who fought in the civil rights movement. All of those people have been a part of shaping me. And finally in (the Tennyson poem) "Ulysses" there is a quote, "I am a part of all that I have met." We are shaped by everybody around us and all of our experiences. Yarbrough: Much like Justice Page, my mother — she's played a huge role in shaping who I am today, whether it be my independence, whether it be my assertiveness. My mentors on that I had growing up — I spent a lot of time in the Boys and Girls Club when I was a kid. And so those people that I ran into when I was younger, encouraging me to push forward — Justice Page, Diane Page, the Page Foundation. The work that they've done not only providing us with financial resources, but providing us with the capacity to give back to our communities. Those young people that I come across when I'm tutoring or whatever I'm doing — they shaped me as much as I shaped them. 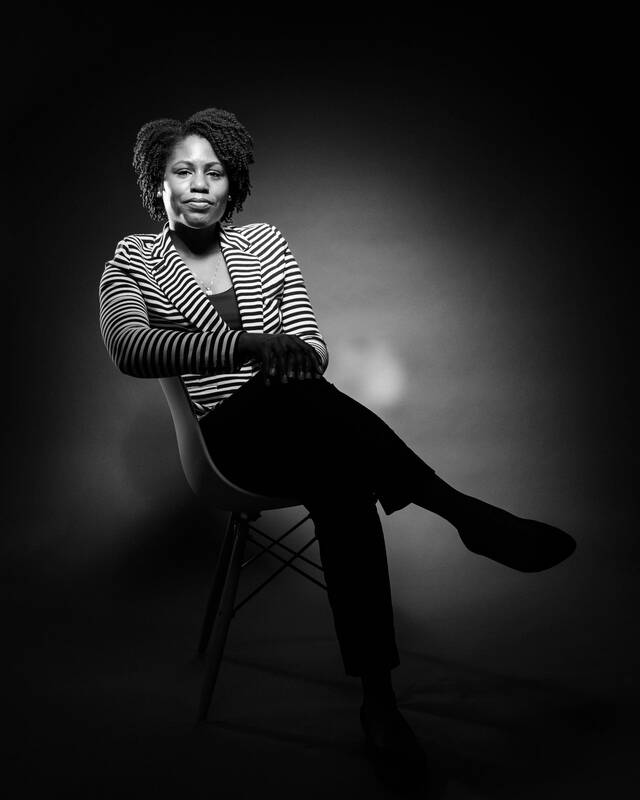 And also people like Angela Y. Davis, people like Justice Thurgood Marshall, people like Anita Hill, people like Alice Walker, the late Zora Neale Hurston. Just so many people. And I know that there are people that are continuing to shape me and I don't even know who those people are, but I get that through constantly doing research about black history because there's just a lot we don't know. What is your vision for the future of black people in Minnesota? Page: I would hope that one day the disparities that we see in our criminal justice system cease to exist. I would hope that one day the disparities that we see in our educational system, the racial disparities, cease to exist. I would hope that one day every black child, every brown child and every red child and white child and yellow child is treated equally, has the same opportunity. You know we're — we all have different abilities and disabilities, but we're all equal. Somehow that gets lost on a day-to-day basis, that somehow because I look different I'm less than. And I dream of the day when that doesn't happen, that you see me and whatever hue of the rainbow I am, you see me just like you see everybody else. And more importantly, you treat me like you treat everybody else (and) also that I treat you as I treat everybody else; this is a two-way street. Yarbrough: I have a huge vision for black people in Minnesota and for marginalized people in Minnesota. One of the visions I have for black people in Minnesota is completely reducing the disparities in things like housing and things like food access. These are just as important as education. When you don't have a home to go to, you can't focus on your education. When you don't have food ... you can't focus. I also envision a future where there's less student debt, because that affects the ability for people ... to go to school. A lot of people that I come in contact with on a day-to-day basis who maybe want to go to school — well, they don't really want to take that that risk because of the debt, and they're worried about loan forgiveness and they're worried about the value of their degrees. I really envision a future where there's not as much debt and not as much predatory lending ... and also I envision a future where there's more black home ownership. I took a clinic in law school called the Community Justice Project, and one of the assignments we had was looking at disparities in the north and the south. And believe it or not, the disparities in home ownership were larger in the north. Now if we're to be a liberal state we need to have truly liberal policies that benefit all. And that includes home ownership for black Minnesotans, which would in essence allow us to build the wealth that the majority has been able to build. That's the future that I envision.